He may never have won the Ashes, but Gough was one of the best bowlers around. 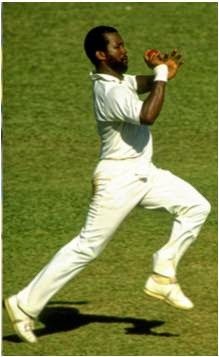 As a fast bowler he developed his own unique technique that was often described as ‘skiddy’, but it allowed him to have a late spin on the ball which gave him a huge bowling advantage. In the Ashes alone, Gough claimed 74 wickets and took a total of 229 wickets in his test match career. During the 2003-2004 West Indies tour, Harmy was the highest wicket-taker and continued this success to the 2005 Ashes where his fast bowling helped to secure the victory for England. Part of Harmy’s success was his ability to deliver a bounce from any pitch, largely thanks to his 6’4” stature, while throwing them out at speeds over 90mph. Despite being born in New Zealand, Caddy, was one of the best English bowlers that has ever been. He was renowned for taking 13 five-wicket hauls in test matches and taking over 230 wickets in his test match career. One of the things that set Caddy apart from the rest was his dedication to Somerset County Cricket Club, where he stayed for his entire career. Welsh and proud, Crofty hedged his bets and played for England in international matches and he made a massive impact in doing so. He regularly received the title of player of the year and was even awarded the Weatherall Award for being the leading all-rounder in English first-class games. However, it was his bowling that made him stand out from the rest when he took his 1,000 first-class wickets in 2007. Often claiming his centuries, Botham was instrumental in England’s Ashes wins, but it was his outstanding bowling that claimed five for one in 28 balls at Edgbaston that landed him a place in this list. Beefy took 148 Ashes wickets in total thanks to his fast and loose bowling that saw many a batman swing a tad late and go out on an LBW or wickets. During the 90s, Malcom was probably the only true fast bowler that England had in their arsenal. Despite being one of the fastest bowlers to have ever graced the pitch, Malcom’s short falls in poor catching and short-sighted plays meant that he was often chosen as number eleven. He may not have taken the most wickets or been the best batsman, but Malcom could bowl like no one’s business! Famed for his right-arm off break bowling style, Swanny was one of the best spinners to ever grace the field. In 2009, Swann made history by becoming the first English spinner to take 50 wickets in a single calendar year. A year later, he cemented himself in the list of best English bowlers firmly when he managed to take 10 wickets in a single match. Still regularly playing test match cricket, The Enforcer has already got 238 wickets under his belt and plenty of life left in his arms to see this number grow. Broad has achieved an amazing number 3 in the ICC player rankings and has won Man of the Series awards in 2009 and 2011. In addition to this, he’s already claimed 11 five wicket hauls, two 10 wickets and even two test match hat-tricks. What do you think? Are these all bowlers that you’d include in your fantasy cricket team or are some astounding players missing from this list? Let us know!